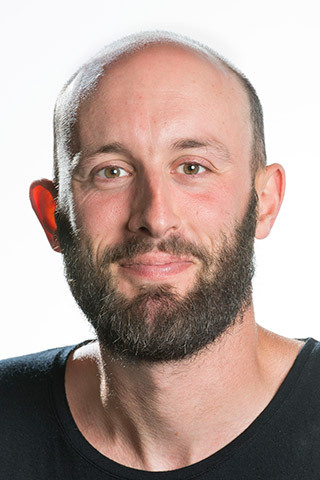 Rhys Williams joined UTS's newly formed Landscape Architecture course at the beginning of 2015. He arrives with experience spanning Northern Europe, Japan and Australasia, including teaching experience at RMIT University, Melbourne, and Victoria University of Wellington, NZ. His research broadly concerns the study of design practice and the articulation of design processes as they relate to Landscape Architecture. He is currently completing a PhD examining the construction and use of precedent knowledge in the discipline. This places specific emphasis on understanding the status of Landscape Architecture's relationship to the actuality of realised landscape projects and its visual depiction online, and in physical publishing. This research has involved a series of related inquiries. These include an appraisal of contemporary landscape architecture publishing from the perspective of its alignment to contemporary theoretical pre-occupations and periods of ethnographic research in design practices including Aspect Studios in Melbourne and acclaimed American practice OLIN in Philadelphia. A review of the UTS Landscape Architecture symposium and exhibition Sydney: A Landscape Architecture, June 12, 2015. Williams, RD 2014, 'Operative landscapes: building communities through public space. ', Journal of Landscape Architecture, vol. 9, no. 3, pp. 86-87. Williams, R, 'Sydney: A Landscape Articulated', Chau Chak Wing Building UTS.